2 What type of engineer? Mobile telecommunications – a new start? He is well known internationally for pioneering research that resulted in sheep shearing robots (1975-1993). He and his students produced the first industrial robot that can be remotely operated via the internet in 1994. The robot has been controlled by a conservatively estimated 500,000 people in dozens of countries. He was presented with the 1993 Engelberger Science and Technology Award in Tokyo in recognition of his work, and has twice been presented with the Japan Industrial Robot Association award for best papers at ISIR conferences. These are the leading international awards for robotics research. His teaching has also been well recognised: he was presented with the ASME Award for Mechanical and Mechatronics Teaching at the 2003 AAEE Conference in Melbourne. He has earned four distinguished teaching awards at UWA, and received a further best paper award at the 2004 International Conference on Engineering Education Research conference in the Czech Republic. 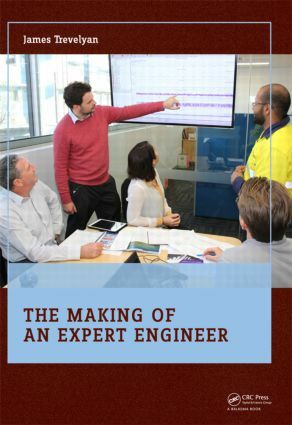 His most recent work is research on engineering practice that aims to understand how engineering work is actually performed, an aspect of engineering that has not been researched before. This work is helping to explain why engineering and process-oriented companies can typically lose 30% of their turnover from engineering, maintenance and operation mistakes. It also helps to explain why engineering services in the developed world seem to cost much more than they should, often much more than in industrialised countries, and is a significant factor inhibiting poverty reduction. Professor Trevelyan is working on education programs that could help overcome shortcomings in engineering training programmes in developing countries. Professor Trevelyan’s web page is: http://www.mech.uwa.edu.au/jpt/ and this has a large amount of supplementary information on his research and teaching.